When I was looking around for details, I happened upon this pine tree, which reminded me of Bonsai, the Japanese art of growing trees in containers. 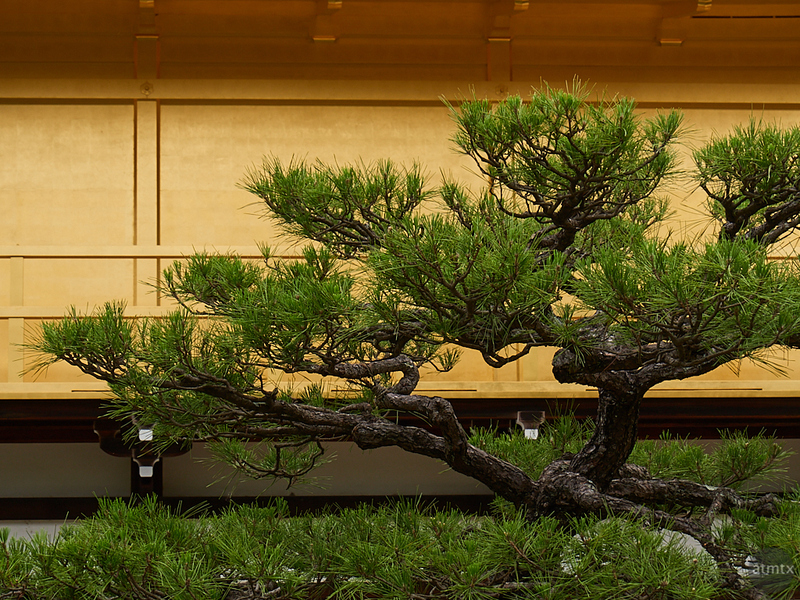 Bonsai are cultivated to look like miniature trees by extensive pruning. By zooming to increase compression, and framing to simply the background, I created something different from my usual. This is from Kyoto, actually at a famous place. The context is such that you may not realize where it is. I’ll post a more conventional, tourist photo tomorrow. I used my Olympus OM-D E-M5 Mark II with my favorite travel zoom the Olympus 14-150mm. It’s shot at 116mm equivalent, which might give a little hint as to the scale of the photo. While using a telephoto for sports is easy and even expected, I still struggle to use extreme telephotos for landscapes, but I’m gradually moving away from strictly using wide-angles. I’m starting to feel more comfortable in the 40 – 60mm equivalent range. This photo is zoomed in more than usual but accomplishes what I was hoping to do.